You find yourself in a strange place with no memory of who you are or how you got here. Your only hope of escape rests in solving a series of challenging puzzles. Can you uncover the truth before it’s too late? 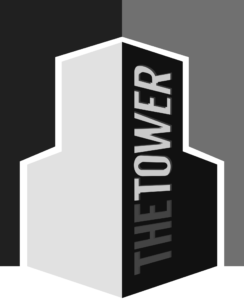 To finish The Tower successfully you will need to search every room carefully and solve several puzzles which vary from easy to hair-pulling hard. We dare not say more about the story, the fun is in discovery! This game is rated EveryPea for all ages. 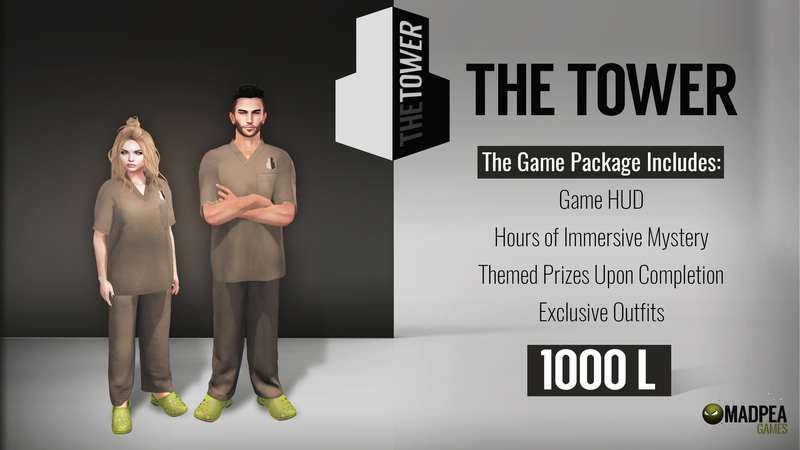 Pay the vendor at the Game Start 1000L to receive your GAME PACKAGE. The HUD is very simple to use. For fullest immersion, be sure to enable sounds. Also.. Make sure to pay attention to nearby chat for instructions and clues/hints. 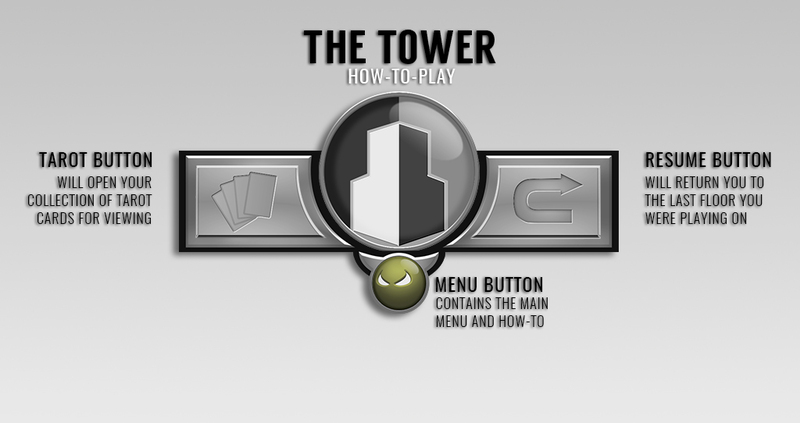 There are six achievements to unlock in The Tower. 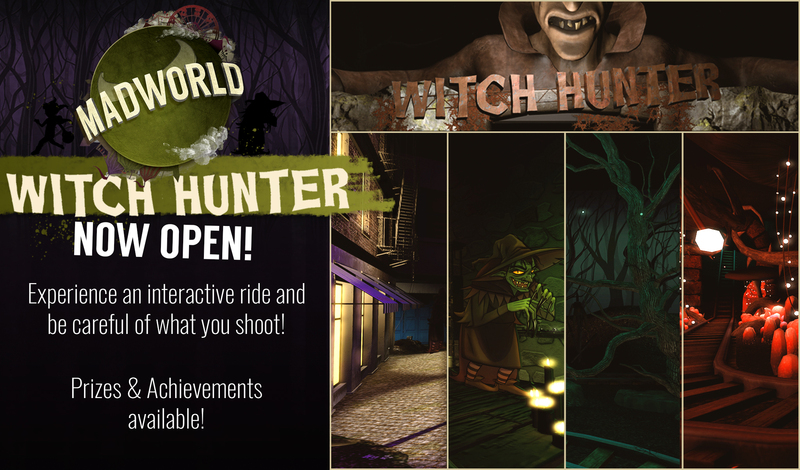 You will have the opportunity to earn a total of 6 achievements in this game. 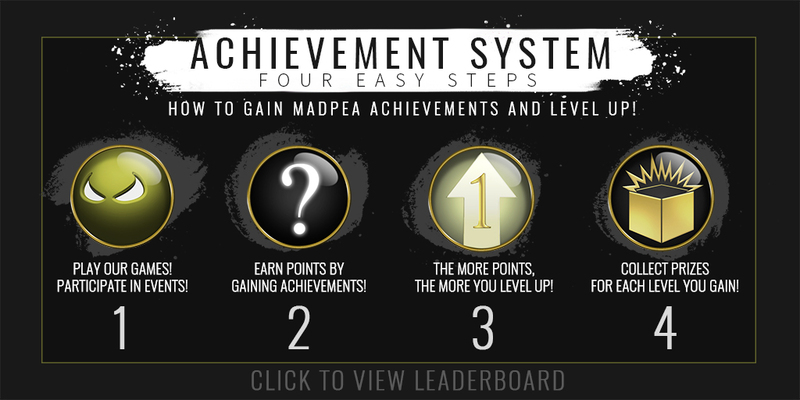 Leveling up at MadPea earns you exclusive prizes and bragging rights. 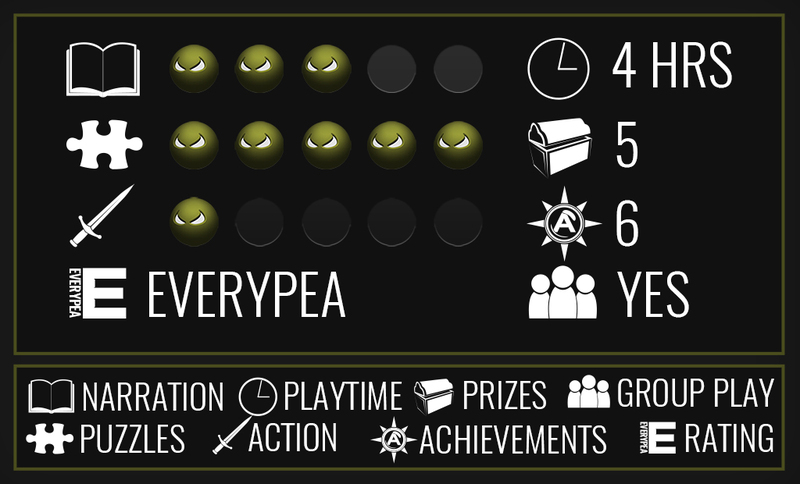 You can see your place on our leaderboard HERE. 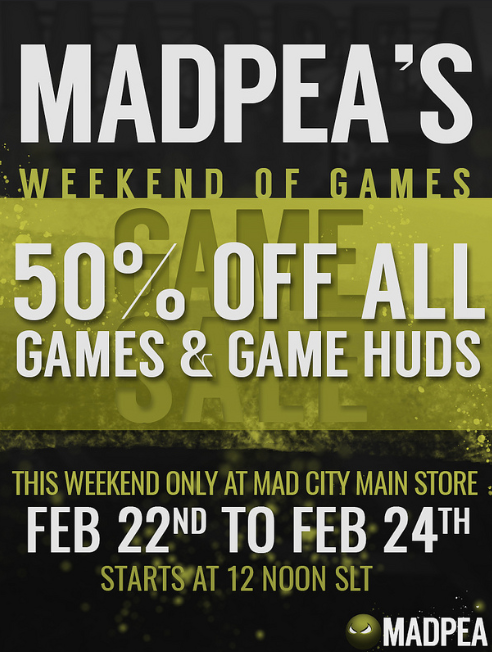 We have several items for sale at the START AREA to help enhance your gaming experience. The EARPIECE offers helpful puzzle hints, and additional dialogue via local text and voice overs. 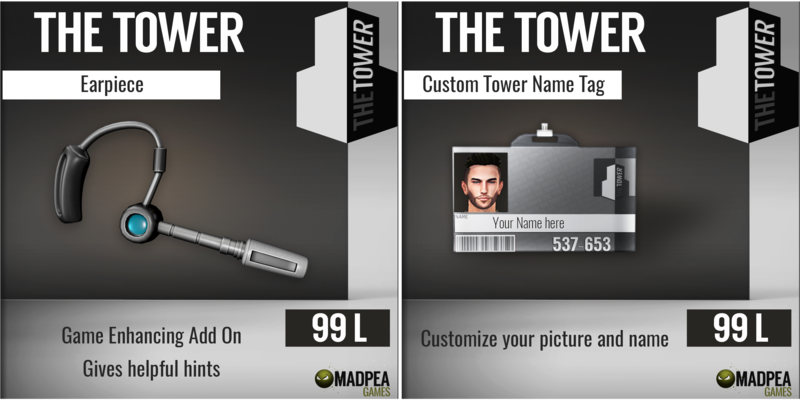 The NAME TAG is a customizable addition to your Tower wardrobe. Add your own name and picture to help look the part. There may be puzzles you just can’t get past no matter how hard you try. Don’t worry, you can still complete the game. 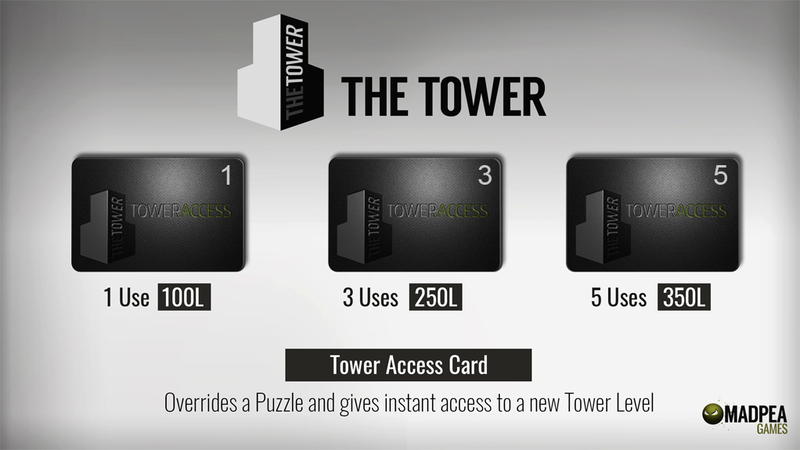 TOWER ACCESS CARDS allow you to bypass puzzles you can’t complete. You will still get credit for any achievements that may have been earned finishing those puzzles. 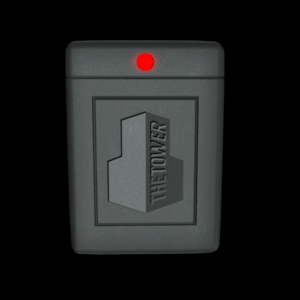 Just look for these access card scanners on every floor and make sure your access card is in your hand when you click on them. BE CAREFUL, AND GOOD LUCK! 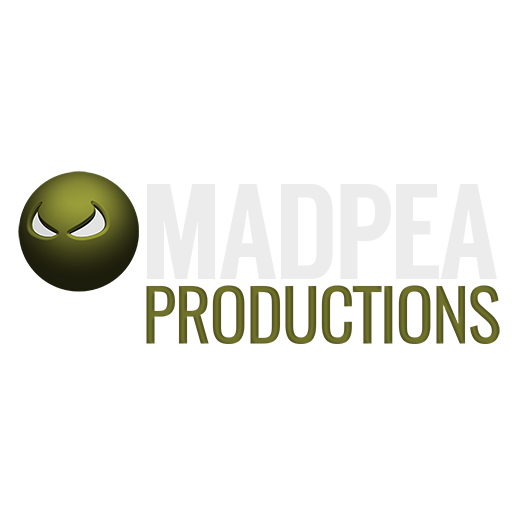 Everyone will receive 5 exclusive game themed prizes upon completion. Cool. So when does this start? Right now! 3/21/2017 noon slt!